In today’s tablet market, one device stands distinctly above all others: Apple’s iPad. With this tablet, Apple did what it always does and created an innovative, must-have device in a once-unexciting category. Now, a company that made its name with high-end consumer electronics wants to give Apple a real challenge. Sony’s Xperia Tablet Z runs the latest version of Android, has a 10.1-inch screen and is the thinnest tablet yet, even thinner than Apple’s iPad Mini. At 1.09 pounds, it’s lighter than the 1.44-pound full-size iPad. This tablet has infrared that turns it into a universal living-room remote control. And just for kicks, it works even when submerged in up to three feet of water for 30 minutes. The Xperia is only available in models with Wi-Fi connections, as was the iPad when it launched. The models cost the same amount as their comparable iPad models: $499 for a 16-gigabyte Xperia (in black) and $599 for the 32-gigabyte model (in black or white). The Xperia is available in Sony stores, at Amazon.com and other online retailers; it will be in Best Buy stores in July. 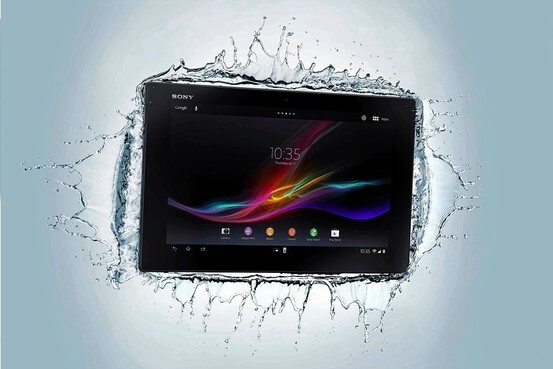 With all of its ports closed, the Xperia can work submerged in up to three feet of water for 30 minutes. Sony has been out of the mobile-technology conversation for a long time, and the Xperia Tablet Z’s design and price position the company to get back in the game if it plays its cards right. Sony also has a smartphone with the same name in the U.S., the Xperia Z, which is available unlocked (without a carrier) for $630. Kazuo Hirai, Sony’s president and CEO, recently said the phone will soon be available with a carrier. I’ve been using this new tablet for over a week and it’s a serious rival to the iPad. Its stylish overall design, screen, fast performance, good camera and noticeably high sound quality make it easy to love. The Android OS, called Jellybean, runs smoothly and more thoughtfully than previous iterations of Android. But the Xperia Tablet Z didn’t fare well in my battery-life test. And some people may find the Xperia’s plastic back feels flimsy compared with the sturdy, brushed aluminum back on the iPad. I own an Android tablet and have tested several others, but I liked the Xperia Z’s physical design best. Its super-thin build and light weight let you tote it in a briefcase or bag without noticing it. The Z’s speaker openings are smartly situated on the bottom and side edges, giving a full, surround-sound effect that doesn’t get muffled when you put it down on a table. After putting the Xperia through its paces for a week, I decided to test its water resistance. First, I made sure all of its ports were covered with their attached flip-out doors. This included a Micro SD memory-card expansion slot, USB 2.0 port and a headphone output. I submerged the device in a deep sink filled with water for 10 minutes with music playing from it. I could still hear it underwater. The built-in infrared remote can control multiple components and lets users change channels with a swipe toward the television. Most people won’t go for a swim with their tablets, but they will use them in places where splashes and spills are a regular occurrence, like the kitchen and bathroom. Even with wet fingertips, gestures and selections on the Xperia screen were still recognized, however inconsistently. In everyday use, the Xperia’s battery life worked well enough that I didn’t notice a problem. But it came up short in my battery test. I set the screen brightness to 75%, kept Wi-Fi on to collect email in the background and played a loop of video until the tablet ran out of juice. 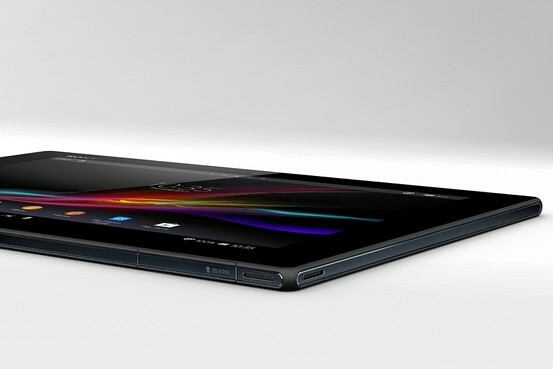 The Xperia Z died after just under 5½ hours; the iPad lasted for nearly 11½ hours. 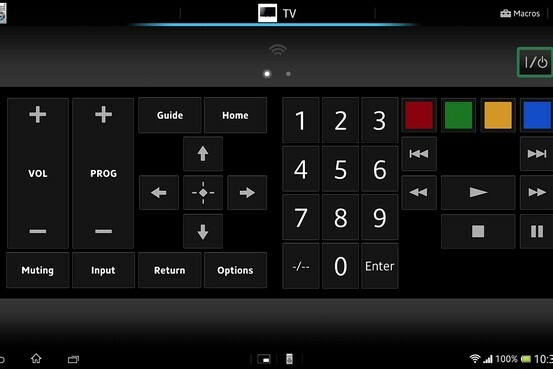 In my living room, I tested the Xperia Z’s built-in infrared remote by opening a preloaded Remote Control app. Here, I selected my device type and maker, and on-screen controls appeared that I tested to make sure they worked with my LG TV, TiVo and Sony sound system. This took just a few minutes and could come in handy if you use your tablet while watching TV, but most people probably will use it as a parlor trick. I downloaded Sony’s TV SideView app, which let me enter my ZIP Code to pull up my cable provider’s channel guide to browse currently playing content from my tablet without disturbing the TV screen. The Xperia Tablet Z, left, has a 10.1-inch screen and is the thinnest tablet yet. A handsome “Watch Now” view floated images of currently playing programs on my screen, and I tapped on each for more details, including related Twitter feeds. Swiping a box representing the program toward the TV changes the TV’s channel to this show. 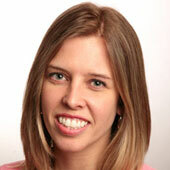 The Xperia Z’s 8-megapixel rear camera and 2-megapixel front camera have more megapixels than the iPad’s 5-megpixel rear camera and 1.2-megapixel front camera, though the cameras shouldn’t be judged solely on megapixels. Photos of the Pacific Ocean, friends and beaches looked rich and crisp. As I swiped through photos, each took a little extra time to come into focus, like what sometimes happens on a digital camera. If you’re an Android fan and you’ve been waiting for a tablet with a great design, Sony’s Xperia Tablet Z fits the bill. Just don’t expect its battery to last as long as the iPad’s.